The Taoiseach also addressed the nurses and midwives' strike. 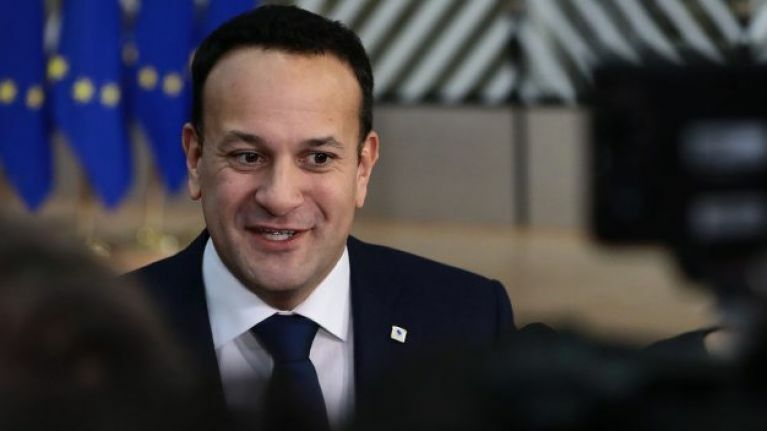 Leo Varadkar has confirmed measures to identify those accountable for significant cost overruns relating to the construction of the new National Children's Hospital. Following an approved revision by the Taoiseach and Minister for Health Simon Harris, a review by consultancy firm PricewaterhouseCoopers will allow for the identification of individuals responsible for the overruns. The overall cost of project is currently estimated at €1.7 billion, having initially been approved by the government in 2017 at a cost of €983 million. The final amount has been disputed as recently as Thursday, when Secretary General of the Department of Health Jim Breslin failed to confirm that the hospital will come in at a fee of under €2 billion. "We've looked at the terms of reference, and the terms of reference will be revised to enable PwC to find individuals accountable or to identify individuals who made particular mistakes, if that's what they find." Host Justin McCarthy then pointed out that this was different information than what was previously distributed. "Having considered it and having talked about it with the Minister for Health, we're making that revision to the terms of reference to enable the investigation to find individuals accountable, if they are able to do that." The Taoiseach also addressed the nurses and midwives' strike, positing that those involved had "technically" breached the public service stability agreement by going on strike but to remove pay increments from them might be "provocative" and could make the dispute more difficult to resolve. Varadkar referenced similar strike action taken by secondary school teachers, noting that under the terms of the public service stability agreement the government could stop previously agreed pay rises as a sanction for going on strike. "The secondary teachers pulled out of the agreement, went on strike and as a result they didn't get the benefits of the pay agreement," he said. "At a certain point we will have to treat the nurses the same as we treated the secondary teachers otherwise it wouldn't be fair to treat the secondary teachers differently to the nurses. "But our judgement at the moment is that withdrawing the benefits of the agreement would be provocative, would be an escalation and might make it more difficult to resolve this." Varadkar's comments arrive in the wake of fresh plans by the Irish Nurses and Midwives Organisation to go on strike again later this month.